"Justice does not come through punishment and violence, but through restoration." 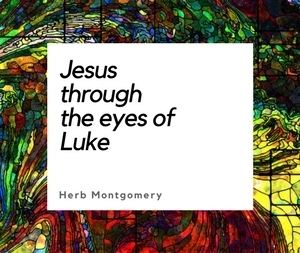 "Jesus’ entire ministry of healing the sick, caring for the poor, and forgiving sinners can be said to be a demonstration of restorative justice." How the faithful city has become a harlot, she who was full of justice! Righteousness once lodged in her, but now murderers . . . Your rulers are rebels and companions of thieves; everyone loves a bribe and chases after rewards. They do not defend the orphan, nor does the widow’s plea come before them. "The hallmark of [Jesus'] moral teaching—love of enemies—likewise acts to overturn the way of retributive justice with restorative justice." "In other words, Paul’s great sin, as he came to see it, had been participation in what he understood as religiously justified acts of violence motivated by religious zeal. His conversion was a conversion away from the religiously justified violence he had formally embraced. It was not a rejection of his Jewish faith (Paul continued to regard himself as a faithful Jew), rather it was a recognition that his former embrace of violence in God’s name was not in fact an act of faithfulness, but a grave sin." "The Greek word for punishment is kolasis, which was not originally an ethical word at all. It originally meant the pruning of trees to make them grow better. I think it is true to say that in all Greek secular literature kolasis is never used of anything but remedial punishment. The word for eternal is aionios. It means more than everlasting, for Plato - who may have invented the word - plainly says that a thing may be everlasting and still not be aionios. The simplest way to out it is that aionios cannot be used properly of anyone but God; it is the word uniquely, as Plato saw it, of God. Eternal punishment is then literally that kind of remedial punishment which it befits God to give and which only God can give." - William Barclay ; Professor of Divinity and Biblical Criticism at Glasgow University and the author of many Biblical commentaries and books, including a translation of the New Testament, "Barclay New Testament," and "The Daily Study Bible Series."